Tailgates and hitches are a match made in heaven. 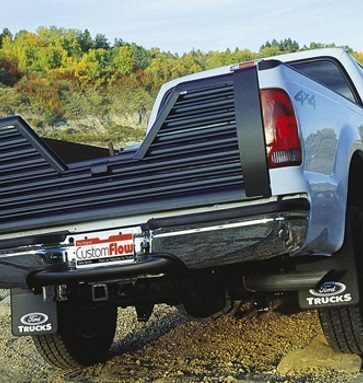 Elite Series tailgate easily mounts directly to your truck’s original factory hardware. 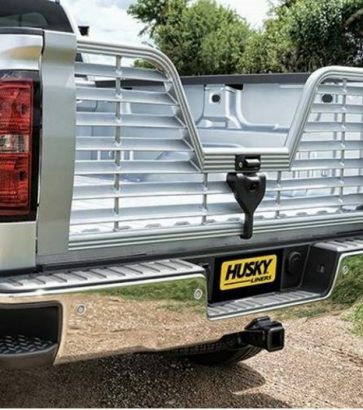 The Husky Liners® Aluminum 5th Wheel Tailgate is made to specifically match your truck. 5th wheel gates go hand in hand with 5th wheel trailer hitches. By removing your truck’s original tailgate and replacing it with a 5th wheel gate, hooking up your 5th wheel trailer becomes effortless. Not only is hooking up to a trailer easier, but so is disconnecting, since you’ll no longer need to get out of your truck and do any manual raising and lowering of the tailgate. Life can’t get any easier with the installation of a 5th wheel gate.